If you’re part of any initiative that is aimed at keeping our seas around Africa clean, you should be. 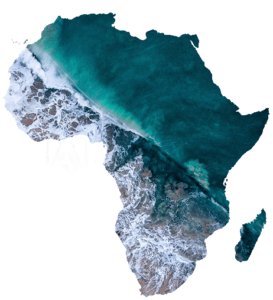 This project is part of creating a waste-related network across Africa of people and organisations that are working towards keeping our seas clean in whatever way they can, whether focused on waste-related enterprises or conservation and clean-up initiatives. We’d like to add more initiatives that are working in the waste-related or conservation space – the goal in common must be to keep Africa’s seas sustainable and free from plastic waste. Our goal is zero waste to Africa’s seas by 2035. What initiatives are we looking for? What keeps our oceans clean, healthy and sustainable is multi-faceted. Conservation, scientific research, waste management, enterprise development, education, communication and inspiration, all these things bind together in working towards our common goal of keeping our seas clean and sustainable. We’re looking for organisations to work and connect with locally and across Africa. The aim here is to learn from each other, and foster innovative ideas that help us deal with plastic in our seas. For example, do you have a successful initiative that is contributing to dealing with a plastics-pollution issue? Or perhaps you have developed an enterprise in your community that has also solved its litter issues? Do you have an inspirational project that gets people to engage with nature and the sea, and motivates them to keep it clean? Maybe you have an educational tool that focuses on litter or plastic education? Or a conservation project? If it’s about stopping waste getting into our sea, we want to hear from you. Email us on map@africanwastenetwork.org.za and we will connect with you. To access the information, click on the icon on the far left of the grey bar at the top of the map. A slider will appear on the left of map. This lists the categories of waste-related information shown on the map. To see the category you’re interested in, click on the box to the left of the category. Markers will appear on the map. To see the details of each specific marker, click on it, and the specific detail will appear on the left-hand side of the map.